How Much Does Business Insurance Really Cost? Our independent insurance agents shop and compare policies from multiple carriers to find the perfect coverage for you. That means protection AND price. And since no two businesses are alike, they’ll make sure your unique needs are locked, loaded and ready for whatever may come. We’re here to help simplify your search. But we can’t just say, “That’ll be $5 a month, will that be cash or check?” We can, however, give you a little background on business insurance rates and how they’re calculated to get you started. The insurance company’s number crunchers start by reviewing a list of various risk factors (things like size, location, etc.). Each of these risk factors has a cost associated with it that is determined through studies of historical trends or analytical models (boy, it's getting really scientific in here). Then they begin checking off the factors that apply, add them all up, mix in a pinch of profit margin to taste and—voila—your rate is served. NOTE: the cost of your coverage might change over time, as the financial demands of offering the plan may increase. Just a heads-up. Business insurance is a contract between a business and an insurance company. This contract basically states that a business will pay their premium and the insurance company will help replace, repair or recover your business’s covered possessions if they are ever lost, stolen or damaged. What Kind of Business Insurance Coverage Do I Need? Liability Coverage: protects you if you’re sued. It doesn’t matter if you’re a beauty salon or a bubble wrap factory, one accident could cripple you with medical bills and legal fees. Workers' Comp: ensures your business complies with the law. 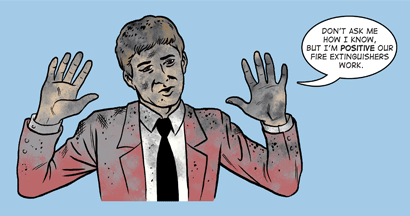 Employees must be covered in case of injury on the job, or illness suffered due to their work. A tiny shoe repair cobbler nestled on the corner of a quiet downtown street would need a combination of property and liability coverage, which might run at about $1,200/year. If they had additional employees and needed workers' compensation, that aspect of the coverage might add another grand on top of that. A large gas company based in Louisiana that owns wells and trucks and has several locations as well as tons of employees might pay more than $10 million/year for coverage. 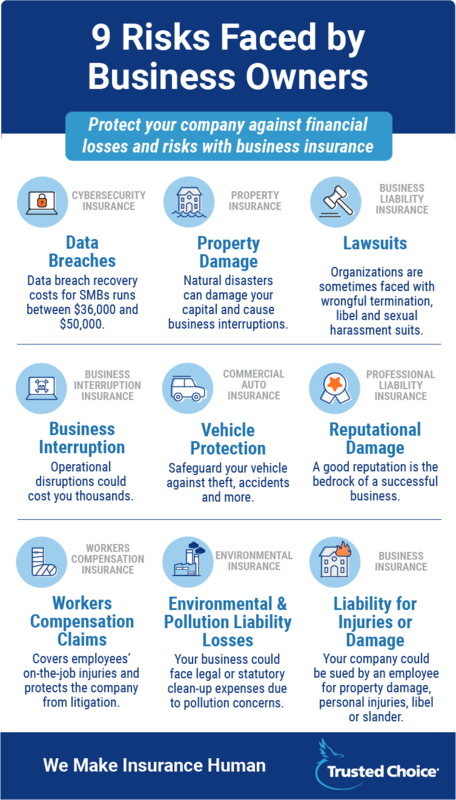 While there really are no average business liability insurance costs for both small and large businesses, we can consider some sample scenarios. A sole proprietor might pay $500 per year for general liability insurance, but a small consulting firm is likely to pay over $3,000 per year. A sole proprietor who hems garments out of a home office has limited liability concerns, but a landscaper may pay upwards of $15,000 annually due to increased risk. Comparing policy rates by yourself can be complicated and there's a lot to digest. Here's where our agent comes in to save the day. They'll know everything that's important to consider when comparing rates. An independent insurance agent can make your business life a whole lot easier. Since they're not tied down to one insurance company, they're free to shop, compare, and assemble all the pieces of the coverage puzzle for you. We know what you want—quick n’ easy business insurance quotes in under a minute. We get it, you want the lowdown, A-SAP. However, choosing supersonic speed could mean sacrificing accuracy...which could end up costing you. Plus, our competitors might also sell your precious info to multiple companies, which could lead to a bunch of unwanted voicemails from unknown numbers. We grabbed the mic and gave it to YOU by providing the info and options to connect with an independent insurance agent when YOU are ready.